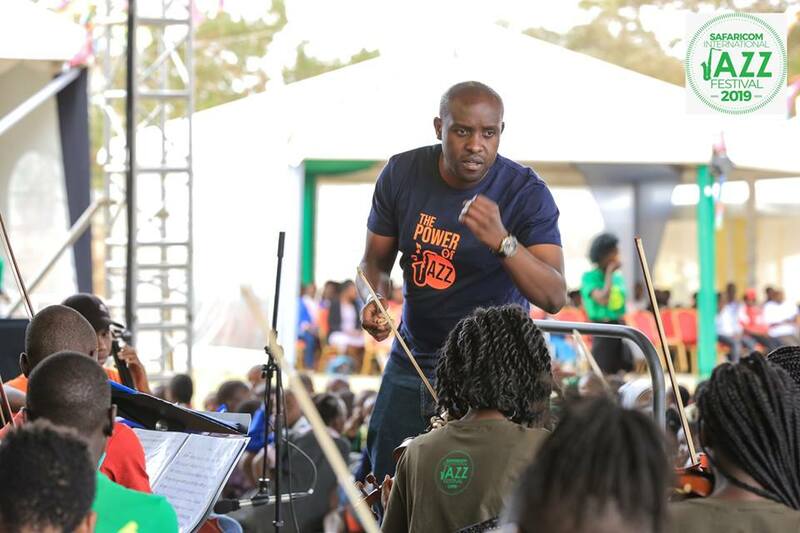 I got to experience the Safaricom Jazz festival, which is in its 6th year, at the Kasarani International Sports Centre. We thronged the stadium despite the sweltering February heat to enjoy the very best of live music. 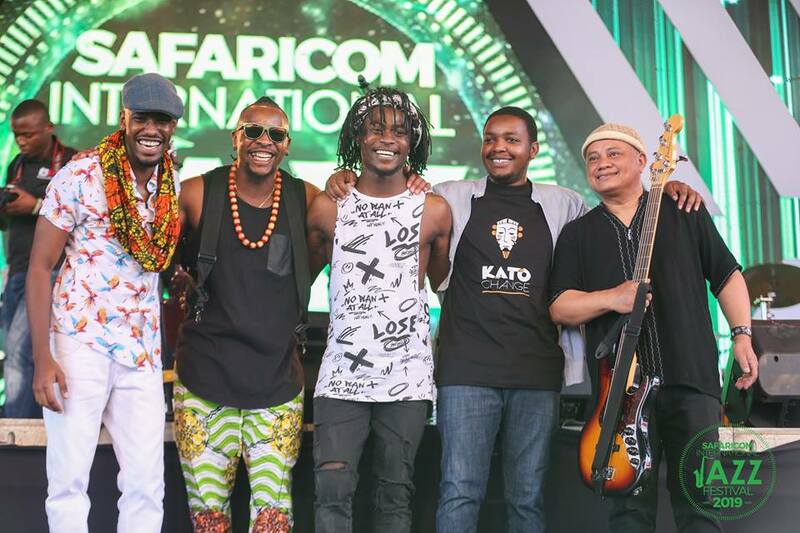 One of the few advantages of Safaricom Jazz afternoon’s musical treat is the ability to explore and experience music from a vast array of artists. The experience will push you away from your music comfort zones and transport you on an exhilarating musical journey. 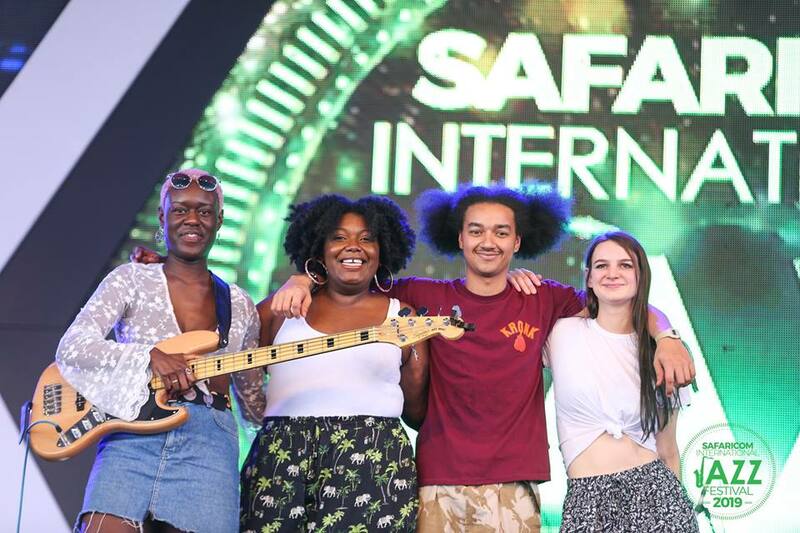 Having arrived at the festival late in the afternoon, I was sorry to miss the performances by Ghetto classics Orchestra, the Safaricom Youth Orchestra, Yazmin Lacey from UK and Toine Thy feat Herve Samb from Belgium and Omni Mor Trio from Israel. However, I was able to walk in just in time to catch Kenya act, Kato Change Experience. He instantly heated up the crowd with a thoroughly professional performance. Kato Change Experience opened their set with a astounding performance of Kothbiro; as a tribute to the Legendary Nyatiti player, Ayub Ogada. It was a momentous. Additionally, performed a selection of their original material with jazzed-up pop music. The band made an impressive outing that awed and mesmerized the audience. The Change Experience was followed by Vivian from Portugal. She used every nuance her voice would give her resulting in a truly moving performance. Her performance was slightly tinged with Arabic melodies that soothed the crowd to a more relaxed afternoon. JRBB were the most pleasant surprise afternoon’s performance. Beyond any doubt, the JRBB stole the show. I was quite fortunate to snake myself close to the stage to have a glimpse of the electrifying performance by the German band. 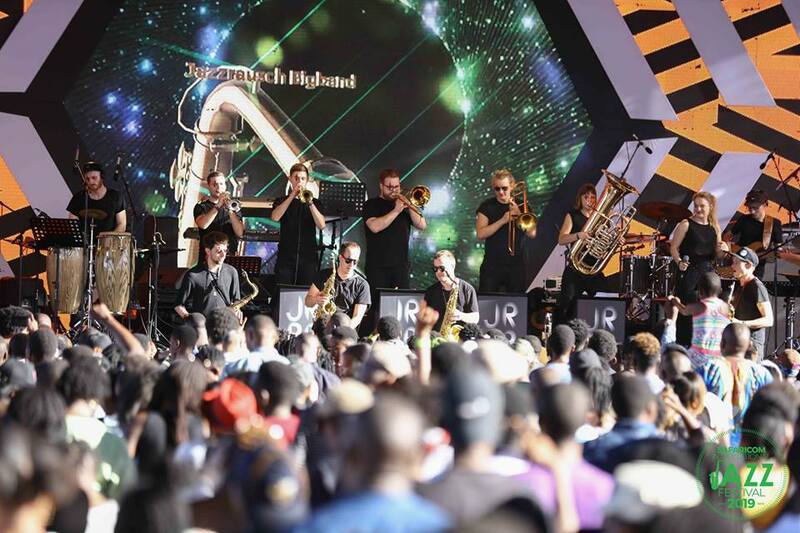 JRBB were resplendent in black outfits, single black strip on their right eye, as their dazzling horns added a bit of pizazz to their look. The band took us on an unexpected venture of techno jazz. JRBB had a bravura opening! JRBB let loose an awesome volcanic sounds, mesmerizing the crowd with their artistic and creative passion. Their music caused sonic pleasures, I remember where I was standing a lady looked possessed with their music. The final piece had everyone on their feet and with a rapturous applause that eventually led to an encore request. After such a crowd roaring performance by JRBB, Marcus Miller still maintained the electric energy in his performance. Marcus Miller who is currently on tour promoting his latest album release, Laid Back. 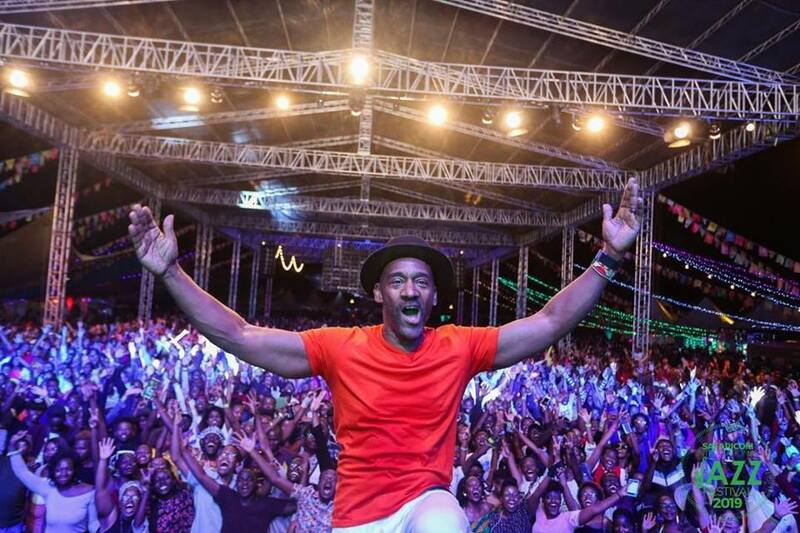 His set at Safaricom Jazz was fabulous mix of his new material and his timeless classics. We got to experience the band’s dexterity and fiery energy at a live performance setting. On stage he was joined by Alex Hitchcock on Sax, Ric Elsworth on drums, Russell on trumpet, and well-renowned Kenyan percussionist Idd Aziz on percussion. Marcus Miller performance was intricate and brimming with energy, he launched his performance with a sinewy bass riff of the Motown classic Papa was a rolling stone, tantalizing our musical taste buds, with his sheer virtuosity mastery on the bass as he played Untamed, Tutu, Sublimity, Maputo and Hylife. With the event’s program being pressed for time, the artists performed for a short duration; leaving us yearning for a bit more from the artist’s tantalizing and funky grooves.